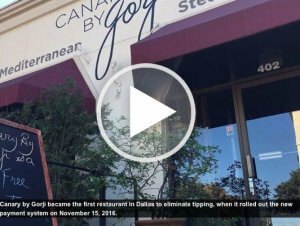 Canary By Gorji (Now shortened to Gorji) became the first no-tipping restaurant in Dallas, TX November 2016. Read press release at PRNewswire. Now those behind the scenes who are essential in preparing and providing the culinary experience will no longer be compensated less than those who serve it, because they were not able to share in the tips. Gorji says ” I don’t want servers worrying about their income.” There are busier nights than others. Servers worry when a night is not as busy, not knowing how they are going to get their money. They are at ease and the tension is lifted once they know they are going to make their money regardless of how busy it is. They won’t feel they have to upsell items to increase their tips at the end of the night. Now they will be compensated fairly every night. Gorji, who has been thinking of doing this for a long time was encouraged by seeing restaurants in other parts of the country implementing “no-tipping.” He decided it was time to take the leap. He believes that each and every guest should receive the level of service they deserve, no matter how much they might be spending. Says Gorji, “What a customer spends should not have any bearing on what a server makes. Gorji has increased prices at the New Mediterranean Restaurant 18-20% to make the new wages possible. This correlates to most average tipping, therefore it is basically the same price for the customer. The “no-tipping restaurant” trend is taking place around the country, with New York, Chicago, San Francisco and Portland at the forefront. Gorji believes the tipping system is not sustainable and that “no-tipping restauarants” are the the future of fine dining. He cites Michelin research, published by Bloomberg News that the International culinary scene, in which tips are small or not expected, is creating the most highly rated fine dining establishments in the world. WFAA Channel 8 – Dallas Restaurant Eliminates TippingWFAA – Feeling manipulated by digital tips for coffee? In July 2018 Canary By Gorji shortened its name to Gorji Restaurant to bring the brand together under one name—Gorji Restaurant, Gorji Gourmet Foods and Gorji Cookbooks. 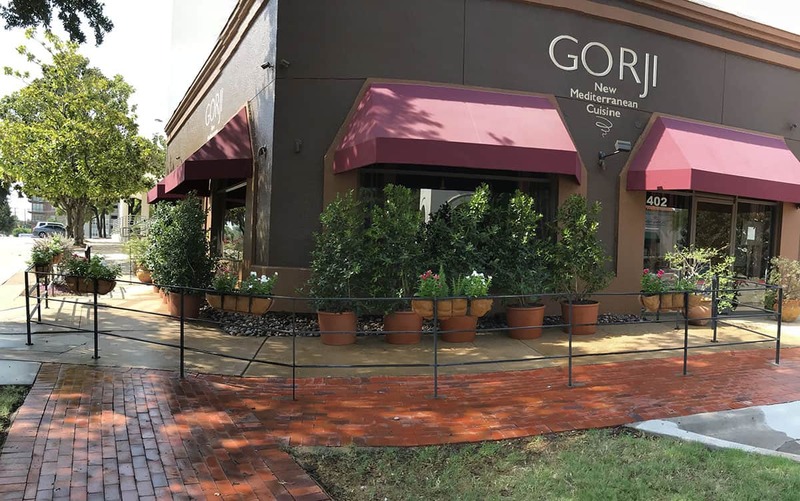 No Replies to "Gorji, Dallas' First Fine Dining No Tipping Restaurant"
Chef Gorji decided, higher prices with no tipping was better for his staff and for his business. "...it’s a perfect fit. Canary has just eight tables, its cuisine is elegantly high-end and it doesn’t practice turn-and-burn seating, ..."
"— to make division of wages more equitable between front-of-house employees and those in the kitchen, and improving the restaurant’s ability to provide top-notch service to its guests."